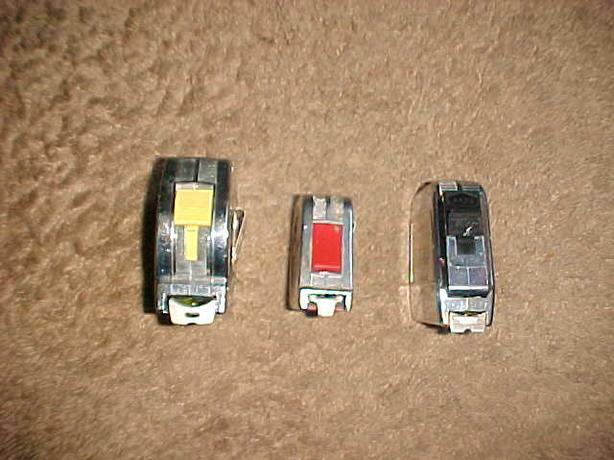 DON'T BUY NEW WHEN USED WILL DO. 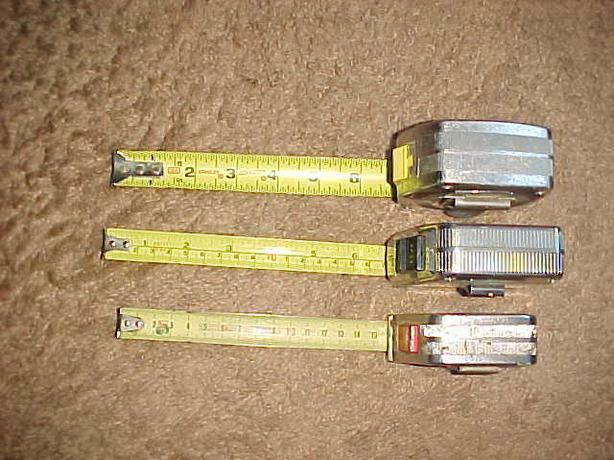 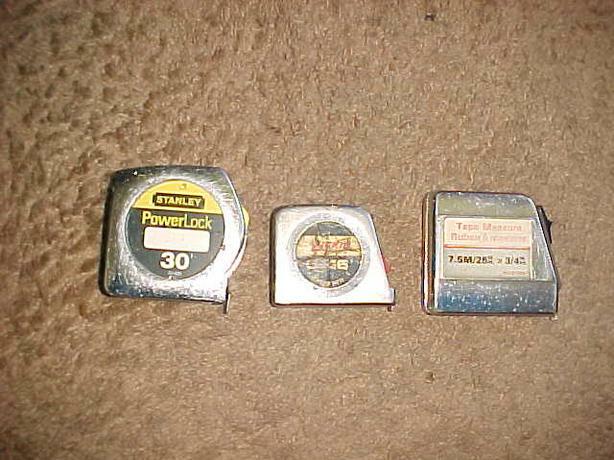 ALL THREE OF THESE TAPE MEASURES ARE USED BUT THEY ARE ALL SERVICEABLE AND GOOD FOR YEARS TO COME. 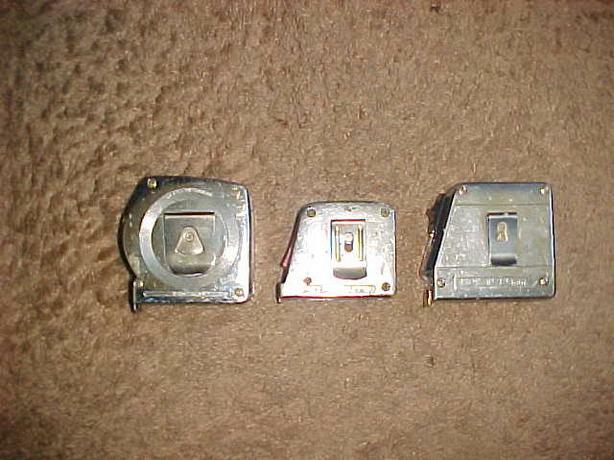 ALL ARE IN GOOD WORKING CONDITION, WITH THE LOCKING MECHANISM AND RETRACTION WORKING WELL.